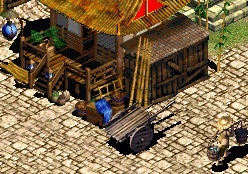 Age of Kings Heaven - The Blacksmith :: Emperor ROTM Cart Decor. Downloads Home » Mod Packs » Emperor ROTM Cart Decor. Conversion cart ("Emperor: Rise of the Middle Kingdom" from Impressions Games&Sierra Entertainment) from SLP decor (6 frames).